It’s time—god, finally, it’s time—to meet the new Doctor and her friends. It’s here—but the moment has been prepared for. After what feels like ages, Doctor Who is back, and there’s a new incarnation of the Time Lord at the TARDIS console. Yes, a new era has begun—and we want to know what you think of the first episode, starting... well, right about now! Yes, as this blog post goes live, the first episode of Doctor Who’s 11th season—“The Woman Who Fell to Earth”—is beginning, simulcast across all of time and space... or at least, a lot of the planet Earth. 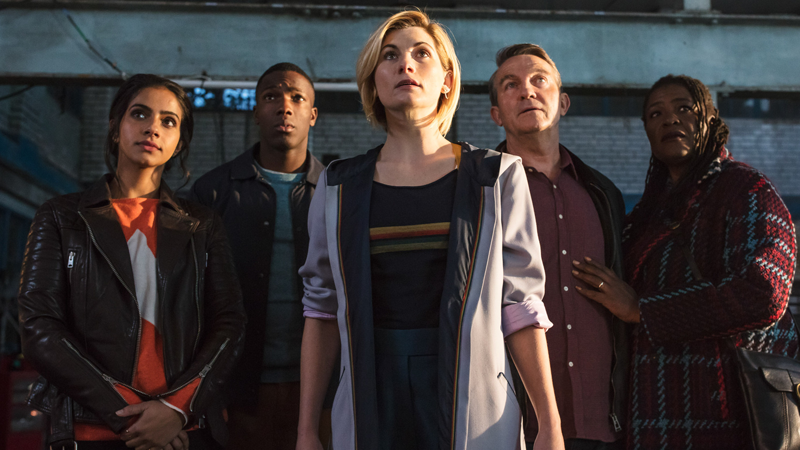 We’re getting to meet not just a new version of the Doctor in Jodie Whittaker’s 13th incarnation, but a whole new host of best friends in the form of her would-be companions, Yaz (Mandip Gill), Ryan (Tosin Cole), and Graham (Bradley Walsh). There’ll be fun, and frights, and adventure! Maybe even a look at the new TARDIS interior, should the Doctor manage to find it after being unceremoniously dumped out of it at the end of last year’s Christmas special. Dumped in Sheffield, of all places! So of course, if you want to chat along with people as you watch, or somewhere to discuss everything Doctor Who the minute the episode ends, we’re very happy to provide a Zero Room for you to share your thoughts. Check back in on io9 tomorrow for a full roundtable discussion of our own thoughts on “The Woman Who Fell to Earth”, ahead of our regular recaps returning the week after—but for now, let us know in the comments what you think about Doctor Who’s long-awaited return!